You find the Bake-Tool at the Top Blender Menu under the “Render” Tab. Or in the Image Pop up menu of the UV-Image Editor. The Baker panel opens up. If you invoke the baker tool from within Edit Mode, then only the currently selected object gets baked. The object list is shown in the Baker tool separated by normal objects and Sculpted Prims. enabled: Use all objects to calculate the smallest possible bounding box which fits to all objects. disabled: Only use Sculpted prims to calculate the smallest possible bounding box which fits to all objects. Do not care about alignment on vertex level. If Aligned is disabled, then all parts will use their full color range and thus the maximum possible spatial resolution. Sculptie parts have best possible resolution (100% of the full color range) but no alignment on vertex level. Sculpty parts have best possible resolution (100% of the full color range) but no alignment on vertex level. their rotation axis outside of the object center. 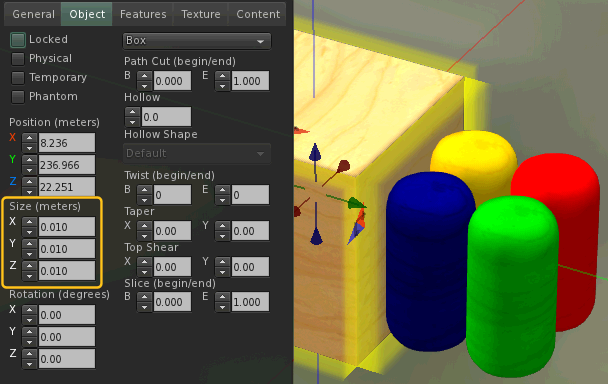 enabled(default): The baker moves the origin into the geometrical center of the sculptie. caveat: The move of the object origin is permanent! enabled: The baker moves the origin of each part into its geometrical center. caveat: The move of all origins is permanent! By default the name of the exported sculptmap-image is derived from the name of the image to which it has been baked. 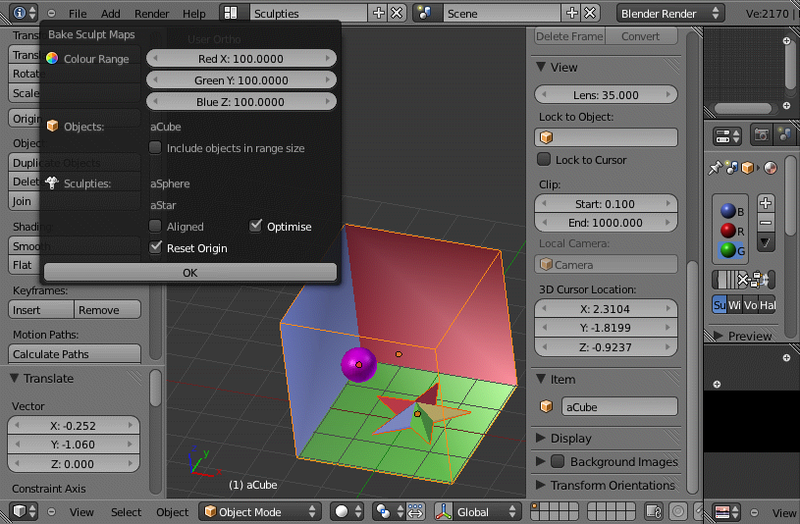 When enabling this option, the name of the exported sculptmap-image is derived from the Object name. 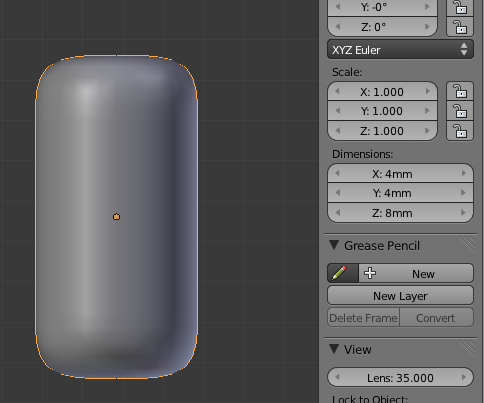 You always can make a “Quick Bake” from the UV image Editor. The object which is associated to the currently selected Image will be (re)-baked. Here you can not specify any parameters. You will always get a full color range bake. And the baked Object will always have its Origin in the Object Center. You had to add some scaling Objects which force a color range reduction on all Sculpted Prims in a link set. The first two methods have been already discussed above. The one to one scaling is a very convenient alternative which allows you to mix normal scaled sculpties and tiny objects within one multi-part object. 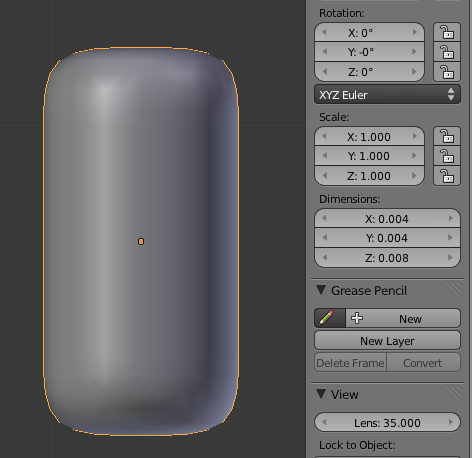 When you bake the above object, then the resulting sculptmap will be automatically adjusted. Note: If your Object is smaller than 1 cm on all axes, then it will automatically maintain its scale!